Why should you even bother learning how to web scrape? If your job doesn't require you to learn it, then let me give you some motivation. 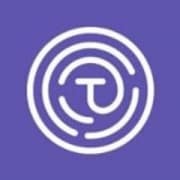 What if you want to create a website which curates cheapest products from Amazon, Walmart and a couple of other online stores? A lot of these online stores don't provide you with an easy way to access their information using an API. In the absence of an API, your only choice is to create a web scraper which can extract information from these websites automatically and provide you with that information in an easy to use way. 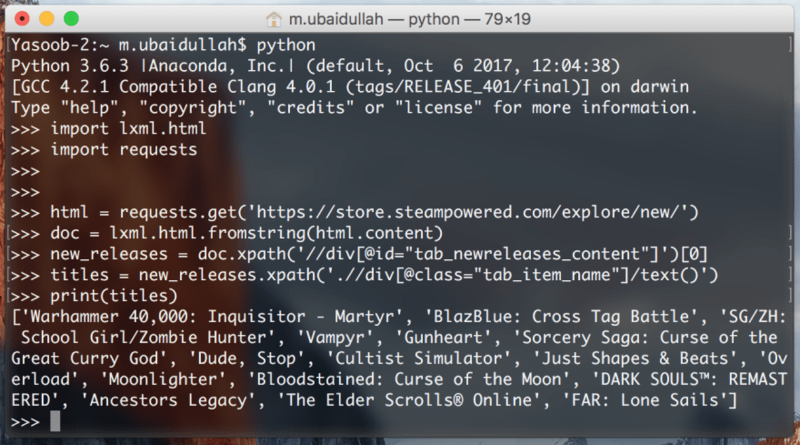 There are a lot of Python libraries out there which can help you with web scraping. There is lxml, BeautifulSoup and a full-fledged framework called Scrapy. Most of the tutorials discuss BeautifulSoup and Scrapy, so I decided to go with lxml in this post. I will teach you the basics of XPaths and how you can use them to extract data from an HTML document. I will take you through a couple of different examples so that you can quickly get up-to-speed with lxml and XPaths. If you are a gamer, you will already know of (and likely love) this website. 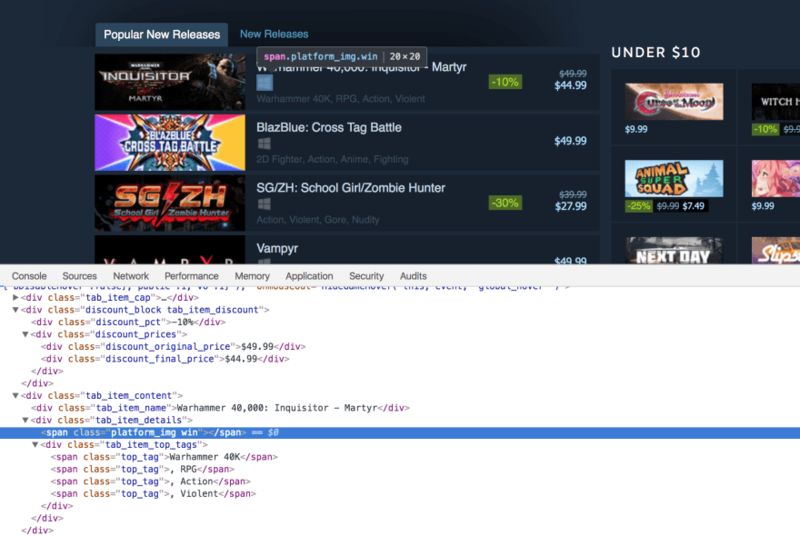 We will be trying to extract data from Steam. More specifically, we will be selecting from the "popular new releases" information. I am converting this into a two-part series. In this part, we will be creating a Python script which can extract the names of the games, the prices of the games, the different tags associated with each game and the target platforms. 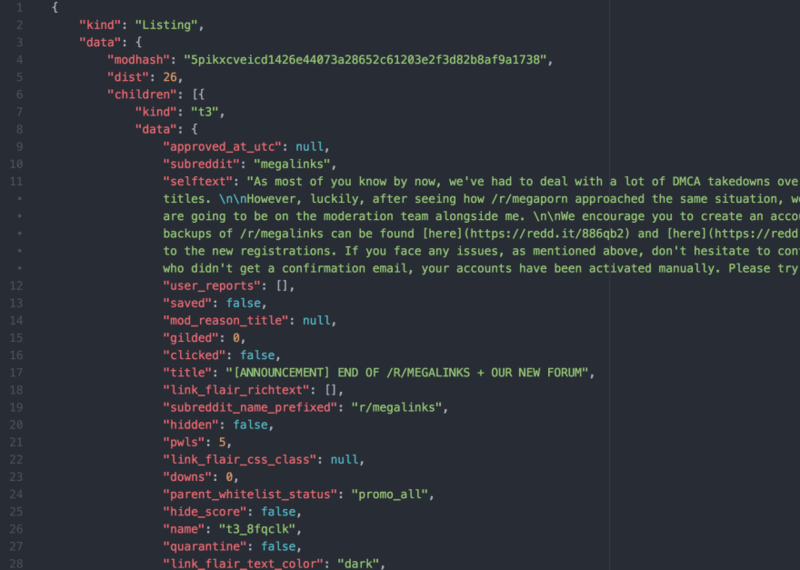 In the second part, we will turn this script into a Flask based API and then host it on Heroku. 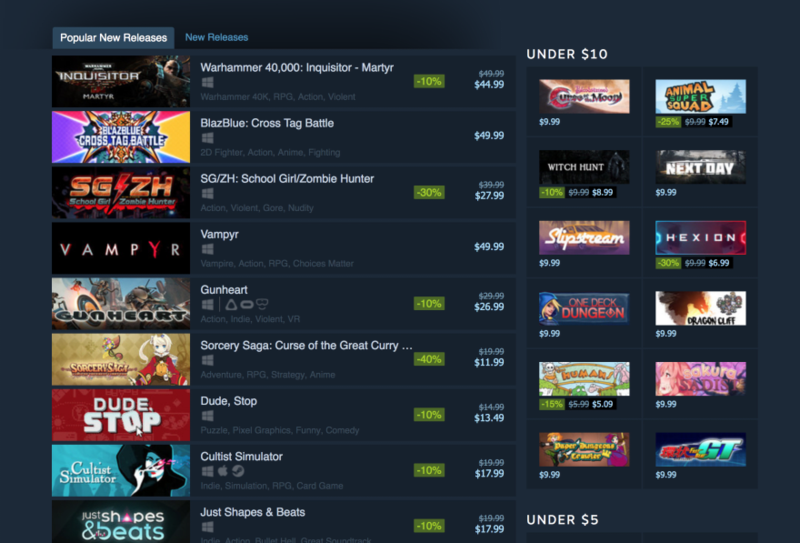 First of all, open up the "popular new releases" page on Steam and scroll down until you see the Popular New Releases tab. At this point, I usually open up Chrome developer tools and see which HTML tags contain the required data. I extensively use the element inspector tool (The button in the top left of the developer tools). It allows you to see the HTML markup behind a specific element on the page with just one click. As a high-level overview, everything on a web page is encapsulated in an HTML tag and tags are usually nested. You need to figure out which tags you need to extract the data from and you are good to go. In our case, if we take a look, we can see that every separate list item is encapsulated in an anchor (a) tag. The anchor tags themselves are encapsulated in the div with an id of tab_newreleases_content. I am mentioning the id because there are two tabs on this page. The second tab is the standard "New Releases" tab, and we don't want to extract information from that tab. Hence, we will first extract the "Popular New Releases" tab, and then we will extract the required information from this tag. This is a perfect time to create a new Python file and start writing down our script. I am going to create a scrape.py file. Now let's go ahead and import the required libraries. The first one is the requests library and the second one is the lxml.html library. 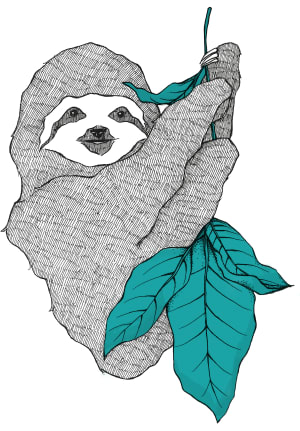 The requests library is going to help us open the web page in Python. We could have used lxml to open the HTML page as well but it doesn't work well with all web pages so to be on the safe side I am going to use requests. Now let's open up the web page using requests and pass that response to lxml.html.fromstring. This provides us with an object of HtmlElement type. This object has the xpath method which we can use to query the HTML document. This provides us with a structured way to extract information from an HTML document. Now save this file and open up a terminal. Copy the code from the scrape.py file and paste it in a Python interpreter session. We are doing this so that we can quickly test our XPaths without continuously editing, saving and executing our scrape.py file. Cool! We have got the required div. Now let's go back to chrome and check which tag contains the titles of the releases. Let's break down this XPath a little bit because it is a bit different from the last one. I don't think I need to explain this code as it is pretty similar to the title extraction code. The only change we made is the change in the class name. 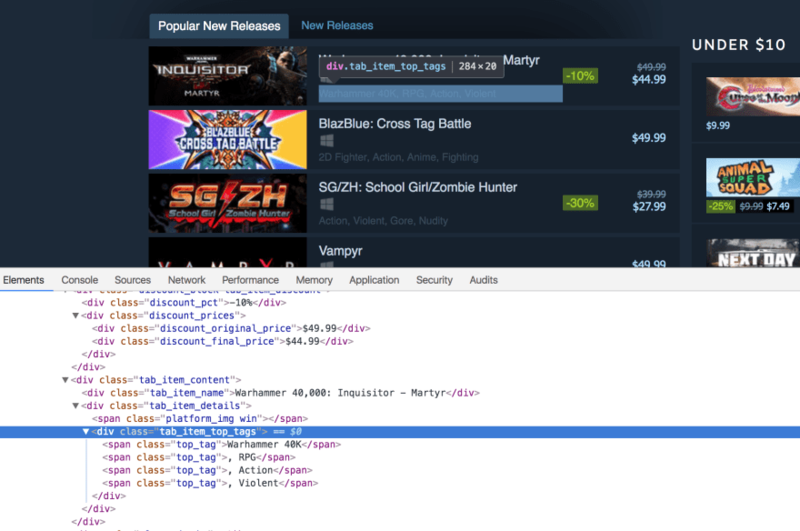 So what we are doing here is that we are extracting the divs containing the tags for the games. Then we loop over the list of extracted tags and then extract the text from those tags using the text_content() method. text_content() returns the text contained within an HTML tag without the HTML markup. In line 1 we start with extracting the tab_item_details div. The XPath in line 5 is a bit different. Here we have [contains(@class, "platform_img")] instead of simply having [@class="platform_img"]. The reason is that [@class="platform_img"] returns those spans which only have the platform_img class associated with them. If the spans have an additional class, they won't be returned. Whereas [contains(@class, "platform_img")] filters all the spans which have the platform_img class. It doesn't matter whether it is the only class or if there are more classes associated with that tag. In line 6 we are making use of a list comprehension to reduce the code size. The .get() method allows us to extract an attribute of a tag. Here we are using it to extract the class attribute of a span. We get a string back from the .get() method. In case of the first game, the string being returned is platform_img win so we split that string based on the comma and the whitespace, and then we store the last part (which is the actual platform name) of the split string in the list. In lines 7-8 we are removing the hmd_separator from the list if it exists. This is because hmd_separator is not a platform. It is just a vertical separator bar used to separate actual platforms from VR/AR hardware. This code is self-explanatory. We are using the zip function to loop over all of those lists in parallel. Then we create a dictionary for each game and assign the title, price, tags, and platforms as a separate key in that dictionary. Lastly, we append that dictionary to the output list. In a future post, we will take a look at how we can convert this into a Flask based API and host it on Heroku. This article was written by Yasoob from Python Tips. I hope you guys enjoyed this tutorial. If you want to read more tutorials of a similar nature, please go to Python Tips. 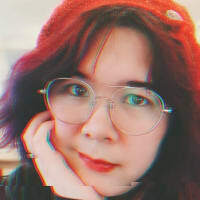 I regularly write Python tips, tricks, and tutorials on that blog. And if you are interested in learning intermediate Python, then please check out my open source book here. Just a disclaimer: we're a logging company here @ Timber. We'd love it if you tried out our product (it's seriously great! ), but that's all we're going to advertise it. You come next time with saving in db and ... for multiple page? Great stuff. Looking forward to part II. I've used beautiful soup before, but will try our lxml sometime. Looks like a nice library, and pretty straightforward to use.